This captivating blue bracelet makes for a cute compliment to the everyday look. 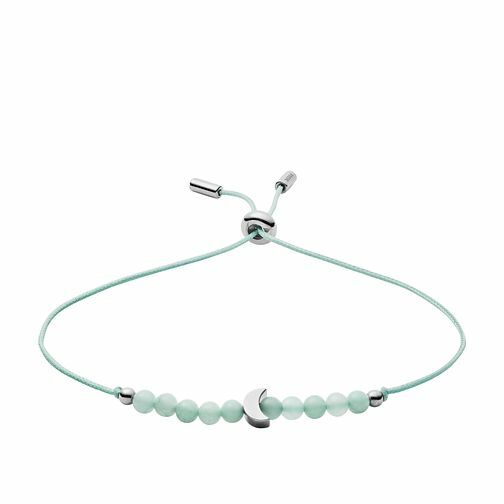 Made from nylon, semi-precious amazonite beads introduce a classic stainless steel crescent moon charm. Amazonite is the gemstone associated with good luck. Finished with a stainless steel slider closure, for a secure and comfortable fit.